It is a strategic goal and also at the same time a statutory obligation of the President of the NOJ to ensure the trainings of the judges that includes the constant development of the content of the trainings and the training system, as well. In 2015 the training central system was supplemented by local and regional trainings. 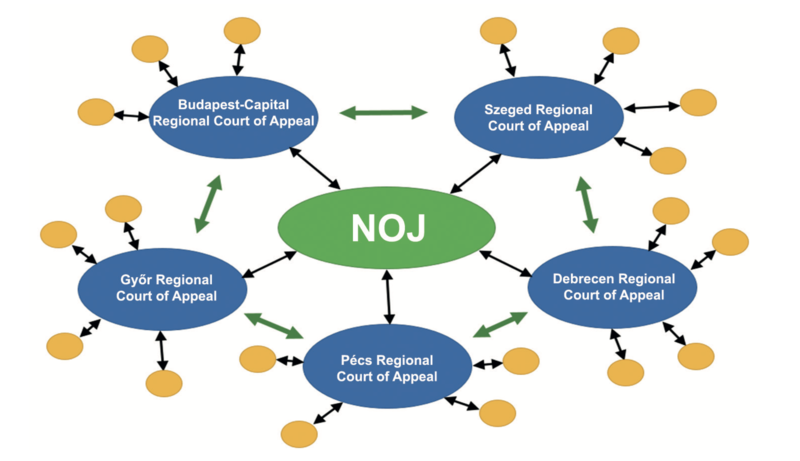 This means that without interfering with the own trainings organized by the respective courts, the NOJ supports the local or regional trainings with quality assurance and financing. For this purpose the national network of the training organizers and their assistants was set up at all regional courts and regional courts of appeal and also at the Curia. Since the creation of the network, it has been operating successfully but the ever increasing quality and quantity challenges induced the integration of a new coordination step in the system. Based on § 121 of Act CLXI of 2011 on the organization and administration of the courts since 2017 the regional courts of appeal perform priority coordination tasks concerning the trainings for the judges and judicial employees working at the courts within their specific geographical area. A new direction in the training system is the modernization of the e-learning trainings. In connection with the preparation for the new Civil Procedure Code and the Public Administration Procedure Code in 2017 it became especially justifiable to use other channels for knowledge sharing and for the testing of the results other than the personal trainings organized in a physical space. In line with the requirements of modern times, the NOJ successfully implemented an e-learning system capable of handling video, audio and interactive materials so that the trainings materials concerning the new procedural codes can be learned in a user-friendly environment. The CooSpace e-learning platform was opened for the users on 13 July 2017, including the more than 1 800 page learning material for Act CXXX of 2016 on the Civil Procedure Code (New CPC). The material written by 68 judges and reviewed by 22 Curia judges contains the text of the laws, their explanation, the case-law, flow diagrams and test questions facilitating the passing of the closing exam at the same place. This was supplemented by 50 training videos and by downloadable podcasts of the trainings. These options covered the currently availably audio-visual training methods. The more than 11 000 users just needed to pick the learning method fitting them the most. The members of the judicial organization can reach the materials anytime, anywhere; at their workstations or through their smartphones. The success of the first learning material is shown by the ca. 78 000 minutes spent with online learning only in the first half-year after the publication. In September 2017 the 860-page learning material for Act I of 2017 on the Public Administration Procedure Code (independent PAPC) written by 15 judges and reviewed by 5 Curia judges and 18 lectures of the physical trainings and their downloadable podcasts containing the audio materials of the trainings. 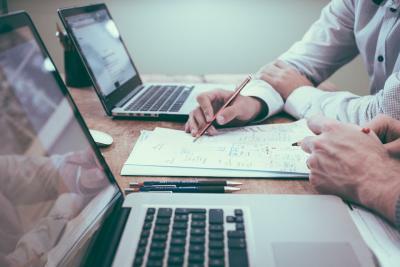 In the training plan it is definitely necessary to determine which target groups and topics are considered as of high priority for the given planning period. The expected training goal determines the selection criteria when determining the target groups and topics in focus. The central training plan needs to fulfil a two-way requirement in the following year, as well: on one hand general training opportunities have to be provided to everyone; this training system must serve the whole judicial organization; on the other hand the particularly important development directions have to be determined that will be prioritized in the upcoming period. new generation: the systematic trainings for trainee judges, secretary judges and judges appointed for a definite period of time involving several weeks and trainings methods that prepare the participants for the profession; the purposes are to update the substantial and procedural legal knowledge and to provide sound foundations for the learning of ethics, integrity and other special rules for the legal profession of the judges and the further strengthening of this knowledge.